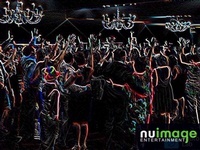 NuImage Entertainment | Entertainment - Burlington Area Chamber of Commerce ? 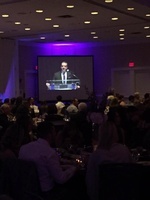 Over the years we have created unique entertainment concepts that focus on making family and friends come together in ways never thought possible. From this proven concept, we strive to provide the perfect blend of professional entertainment that is both elegant yet fun. We train our DJ’s to recognize and understand the importance of momentum, teaching them how to begin your day with a high level of energy and fun, but most importantly how to maintain that same level of energy throughout your reception. We have always understood the importance of playing the right music at the right time, as well as having great speaking skills and maintaining an absolute professional appearance. But at the end of your day when your last dance comes to an end, what we want you to remember is the amazing time you had, the fun your family and friends had together, and how many great memories you will talk about forever. We feel our strength lies in our ability to achieve amazing results while adapting to the personal style and needs of each couple we meet. After all, memories are made up from a thousand amazing moments, and we are proud to say we specialize in making those individual moments happen. If you believe we may be the right entertainment company for you, we would love to speak with you about your day. We look forward to hearing from you!